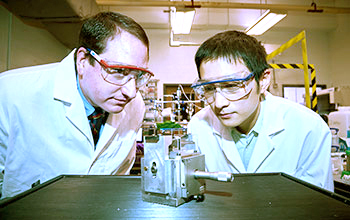 Researchers in the University of Connecticut's (UConn) Institute �� thin semiconductor material by stretching it, an accomplishment that could prove beneficial to engineers designing the next generation of flexible electronics, nano devices, and optical sensors. 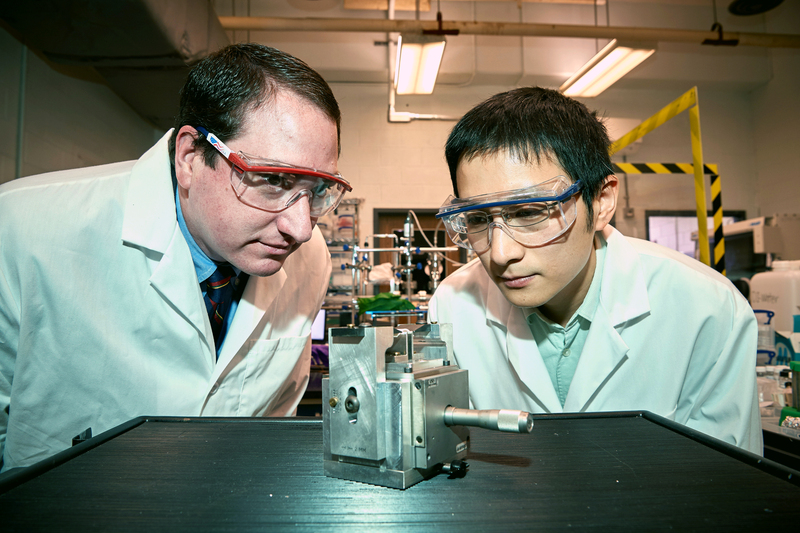 In a recently published study, Michael Pettes, an assistant professor of mechanical engineering at UConn, reported that a six-atom thick bilayer of tungsten diselenide exhibited a 100-fold increase in photoluminescence when it was subjected to strain. The material had never exhibited such photoluminescence before. The findings mark the first time scientists have been able to conclusively show that the properties of atomically thin materials can be mechanically manipulated to enhance their performance, Pettes says. Such capabilities could lead to faster computer processors and more efficient sensors. Primary funding for this research was provided by a National Science Foundation (NSF) Faculty Early Career Development award (grant CBET 15-53987). Note: Any commercial use of this image requires the photographer's permission.